International Metal Technology (iMT Taiwan) will join hands with Asia Steel Forum (ASF) to bring the most sophisticated business platform for the metal industry. Taking place together from 6-8 December 2016 at the Kaohsiung Exhibition Centre, iMT Taiwan and ASF not only complement each other to strengthen the scale of the events, but also create greater synergy in terms of its impact to participating companies and visitors. ASF, being Asia’s most important industry-networking event of the year, will welcome business leaders from across the region’s metal industries. 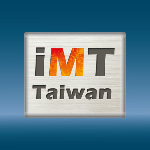 iMT Taiwan, the renowned exhibition, will showcase latest technology and new products. This paves great opportunities for companies to not only introduce and sell new technologies and product to business buyers, but also to directly network with industry leaders. Held in Kaohsiung, Taiwan’s exclusive industrial cluster of metal businesses, the exhibition is the business gateway for top ranking metal technology providers to meet Asia’s premium buyers. Some of iMT Taiwan’s most prominent exhibitors such as China Steel Corporation, Yieh United Steel Corp. and others are all geared up to attract potential customers by offering customized services with flexibility for tailor-made ODM/OEM production to fit varying customers’ requirements. iMT Taiwan 2016 will for the first-time introduce Workshops as special platforms for exhibitors to launch their new products and share deeper insights on the scope of their expertise. Chung Jih Treatment Chemicals Inc., Taiwanabrator Co., Ltd, and Sintokogio Group have already signed up to launch their latest products and to share their expertise on topics covering high-value utilization of metal technology. 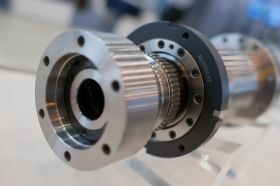 This would enhance visitors’ understanding of technology relevance, machinery capabilities, investment optimization in adopting new machines, and best practices for their current manufacturing systems. Such robust information exchange between exhibitors and visitors will promote better appreciation for real technological challenges that companies can help overcome with their applicable solutions. Booth Spaces are Filling Fast. Confirm Your Place as An Exhibitor Now and Prepare Your Best Showcase at iMT Taiwan 2016 !